Lovely Baby the Stars Shine Bright blouse, with some wear and tear. 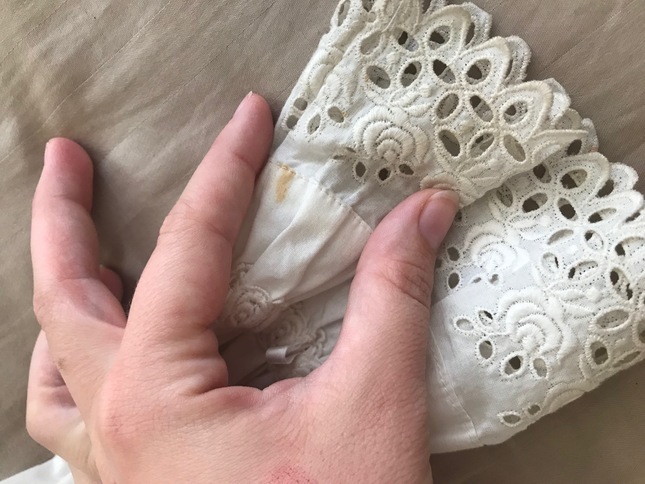 This blouse has been washed delicately, any remaining stains either need a more experience hand or are there to stay. 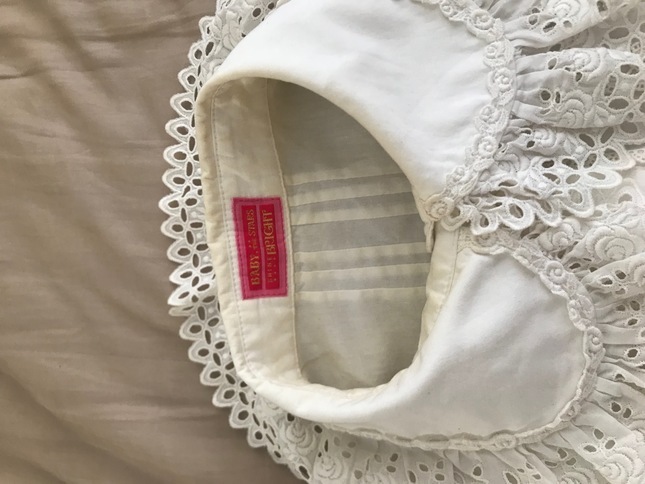 The neckline is yellowed front to back, but not visible when worn. 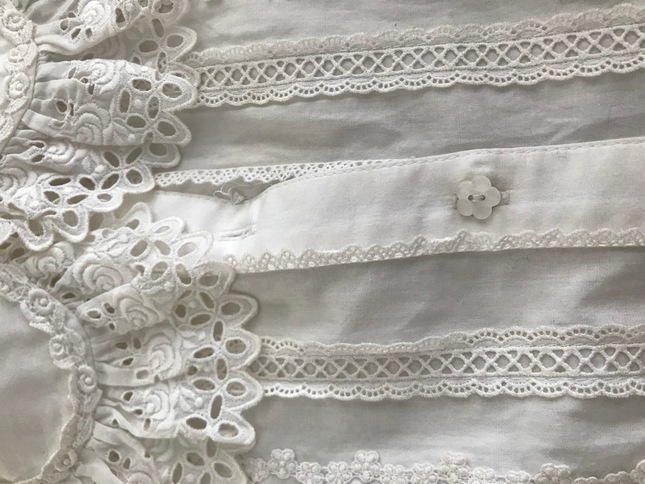 The upper back of the blouse and the lace along the cuffs is also yellowed from wear. The fourth picture also shows some small staining on the cuffs. 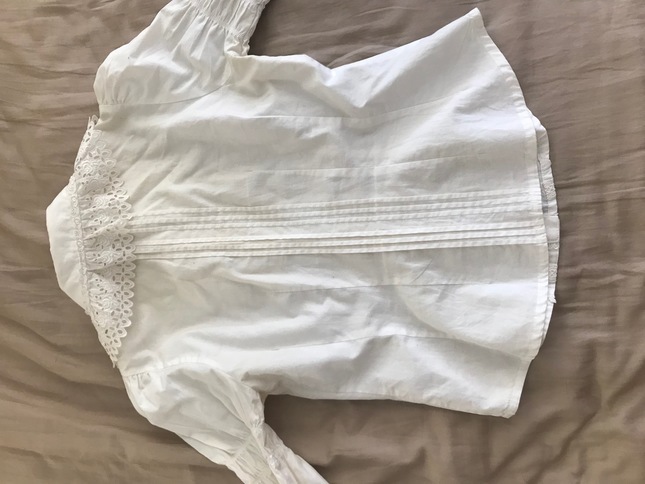 There is one button missing at the top part of the blouse. The only thing that hasn't been documents is a very very light purple-ish tint that the front of the blouse has. Its practically imperceptible, but may be noticed if youre paying attention to it. 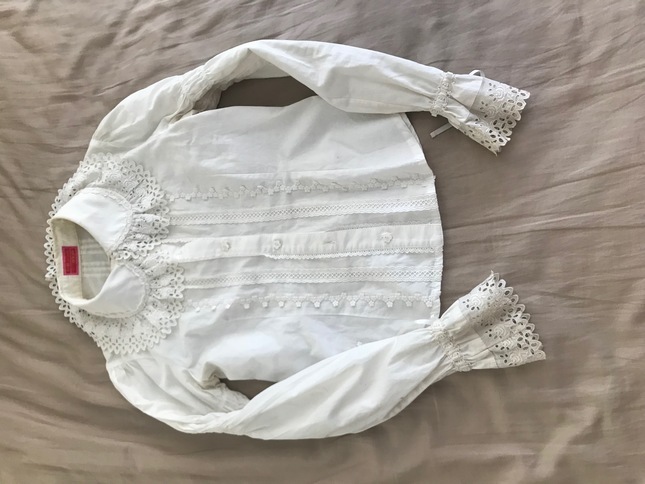 The lolibrary link is not for this exact blouse, however, the measurements are very similar for reference. 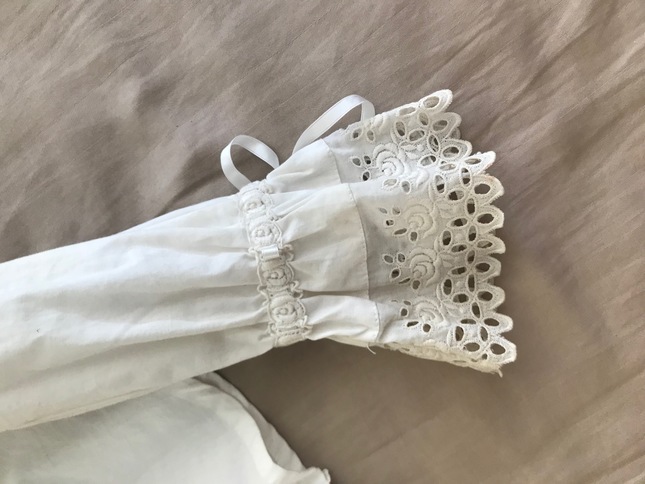 What size is this blouse? It's not sized the way a normal blouse is as far as I can tell, however, the measurements from the lollibrary link in the description are pretty close. I'd say its a m/l leaning towards m.